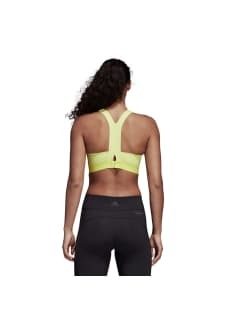 This women's sports bra delivers high support and cool comfort. Ideal for workouts like running, boxing and dancing, the bra is built with moulded padded cups for added support. A soft brushed hem keeps you comfortable, while a racer back gives your arms a full range of motion as you train.